Client Brief : The client is into providing Limousine services in the United States of America. 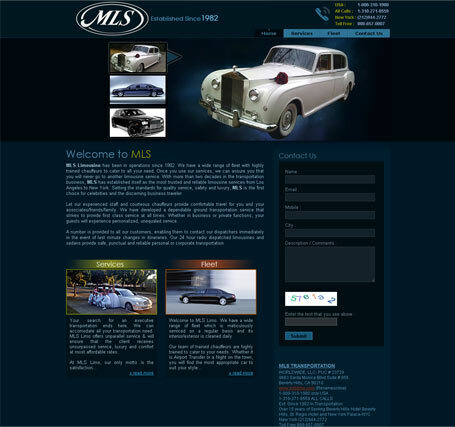 They wanted a website which looked classy like their limousines. Solution Provided : A classy looking website was conceptualised and designed by us. The selection of limousines, the colour combination of the website and the general layout of the website depicts classiness. © 2006-2014 All rights reserved. Reliable Technologies.